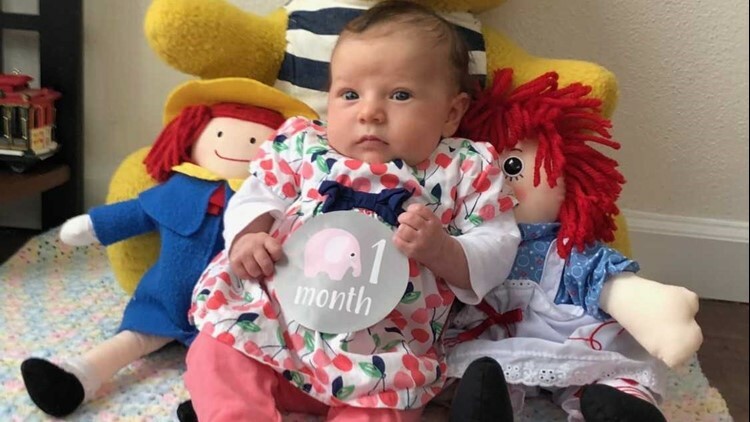 Just eight days ago, Ginger McCall's 7-week-old baby girl was healthy and happy. But within 48 hours, Evianna's health deteriorated. She died last Sunday. SALEM, Ore. — A Salem mother is turning her tragedy into a lesson for other parents. 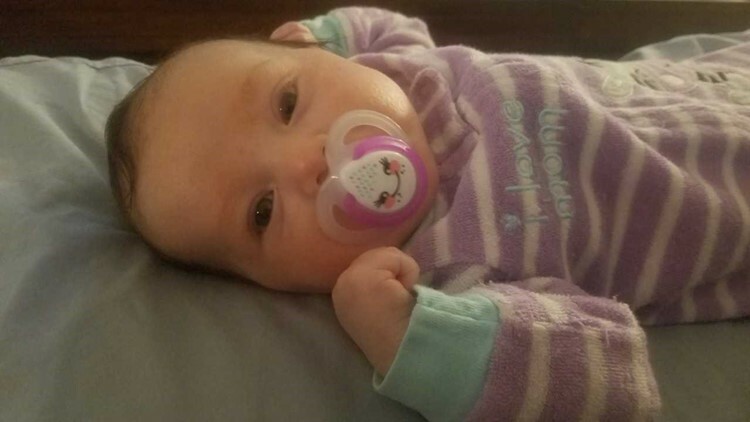 Just eight days ago, Ginger McCall's 7-week-old baby girl was healthy and happy. But within 48 hours, her health deteriorated. She died last Sunday. McCall feels her daughter's death could have been prevented by hospital staff. "We only had seven weeks with her. But she was so loved,” McCall told KGW. She and her husband waited so long to have their first child. Evianna Rose was their world; an active baby who already had a love for nature. She’ll never know, because Evianna was taken suddenly a week ago Sunday. Last Friday, McCall said her baby girl started making a terrible moaning noise. "Evi" was having trouble breathing and running a fever. McCall and her mother-in-law rushed her to the emergency room at Salem Health. “They told us they thought it was a virus but couldn’t say which one it was because babies get lots of viruses," she said. McCall said Salem Health gave Evi Tylenol and a saline drip, ran basic blood tests, and then discharged her around 1 p.m. that afternoon. "A baby at 7 weeks being discharged from the emergency room with still a temperature and still listlessness. I mean, that should not have happened,” McCall said. They went home, only for Evi to get worse. She started throwing up, and making that awful cry. They went back to the emergency room, where everything spiraled quickly. Evi crashed. “It was like torture watching them jab her over and over again. Then they had to do a spinal tap, which was also like torture. 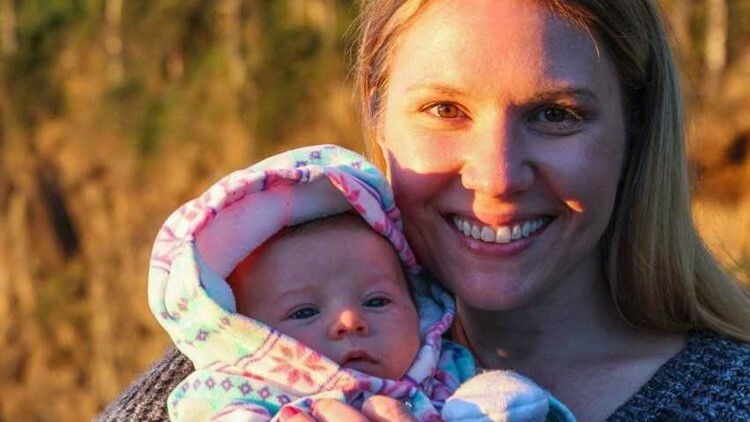 And then everything happened really fast, and she was crashing and intubated and then they called Portland to see if they could get her transferred up there," McCall remembered. She felt hospital staff didn't communicate clearly about what was happening in the moment. After being transported to Portland, in a blur of a day, McCall said doctors told her and her family on Saturday Evi had meningitis and sepsis. Their baby girl was brain dead. Time of death: 6:08 Sunday morning. Just the day before she got sick, McCall said she took Evi for a walk on the beach. She was healthy and happy. “It was just so sudden and it seems like it should have been preventable. That noise she was making, I wish they had paid more attention," McCall said. McCall wishes doctors paid closer attention to the cry Evianna was making - a common sign of meningitis in a baby. She said doctors told her Evi had late onset Group B Strep and the infection led to the bacterial meningitis. When pregnant, McCall had Group B Strep and told providers in the hospital, but felt that information wasn’t taken seriously. However, McCall said doctors weren't certain where or when Evi contracted the strep. 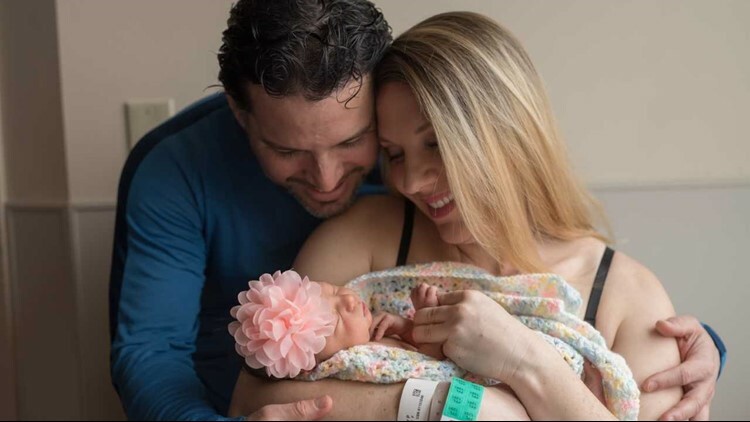 After a sudden meningitis-caused infant death at another hospital in Salem last year, McCall hopes to raise awareness and help others by shedding light on the signs. “I can't bring her back, but what I hope is just that this won't happen to someone else,” McCall said. Hospitals need to take a hard look at their protocols and change them if needed be to prevent this from happening, she said. Her advice to parents: call attention to anything you notice, like she and her mother-in-law did when Evi's head started swelling the second time in the emergency room. She feels she did her best to advocate but feels she couldn’t seem to impress upon them the sense of urgency the first time they were in the emergency room. “That’s what I want most of all is to find some way to take a really terrible experience and turn it into something that helps someone else and if just one person can be saved by hearing this, that makes a difference to me. That I think honors Evi,” McCall told KGW. Instead of celebrating Evi’s first walk or first word, McCall and her husband will be mourning their first child’s life. But in her passing, Evianna gave them the gift of community. McCall said so many people from work and her neighborhood are sending them flowers and sweet notes and making them food. After only moving to Oregon a year ago, they now realize how loved and cared for they are.